I love to read occasionally, but don’t think I’m actually a “reader”. In fact, I’m one of those that starts a bunch of books and only finishes a few. That, however, was not the case with “Born to Run: A Hidden Tribe, Super Athletes, and the Greatest Race the World Has Ever Seen” by Christopher McDougall. In this best-selling book, the author writes about tracking down members of the reclusive Tarahumara Native Mexican tribe, who are mainly located in the Mexican Copper Canyons. This tribe of “super athletes” are known for their ability to run ultra distances (over 100 miles) at incredible speeds. Often, running barefoot or only using sandals. We are only about four hours away from the breathtaking Copper Canyon Mountains and where one of these ultra marathons UMCB (Ultra Marathon Caballo Blanco), or White Horse, will take place this very weekend. Most of the children in our orphanage are Tarahumara Indians who come from these mountains. One in particular, Juan, loves to run. Like, he REALLY loves to run. In fact, this weekend Juan, along with our friend Aaron, will be running in this marathon. Aaron is a fellow missionary in our town who has been training with Juan for months. The race begins on Sunday, and Juan is very, very excited for this. As are we. I so wish I could be apart of this historic event in his life. Not running, of course, but witnessing in person this incredible opportunity for him. As many of you know, Juan is one of our true orphans. The government brought him to our care four years ago. There is little to no information on Juan’s background, family, parents, etc. Juan has spent most of his life being passed around to different orphanages. The DIF felt that our home, being very new, would be a fresh start for this troubled, damaged young man. Through many challenges and hardships, Juan has pressed through and made tremendous progress. He is an incredibly gifted athlete and a joy to have here at the home. One of my prayers from the very first time I met Juan was that one day he would be adopted. Adoption in Mexico, like in a lot of countries, is incredibly hard and almost impossible, especially international adoption. Also, statistically, most people don’t want to adopt a troubled, damaged teenage male. 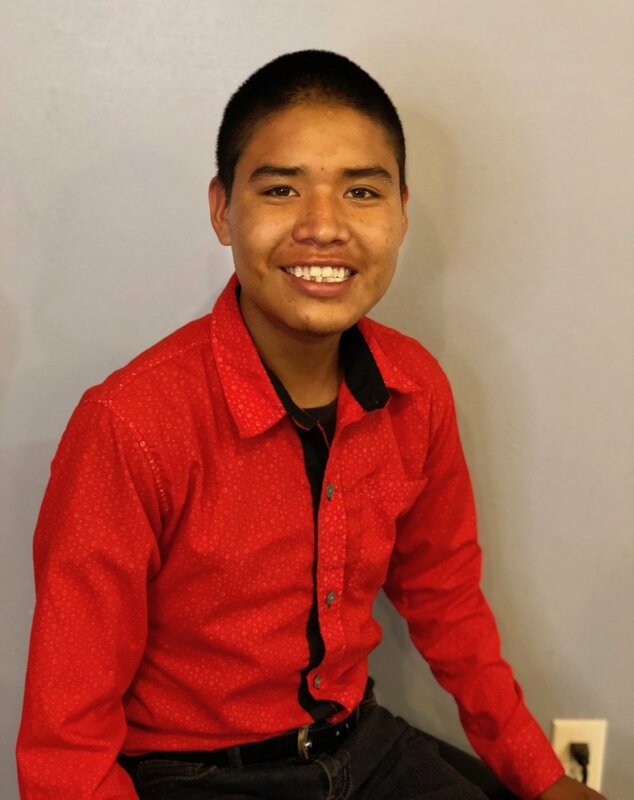 Nevertheless, the prayers of many were that one day our Great God would do the miraculous and bring this young man a “forever” family, as they call it in the adoption circle. Well dear friends, brothers, and sisters, it is with the greatest privilege and honor and excitement to be able to share with you all that our God has answered those prayers. 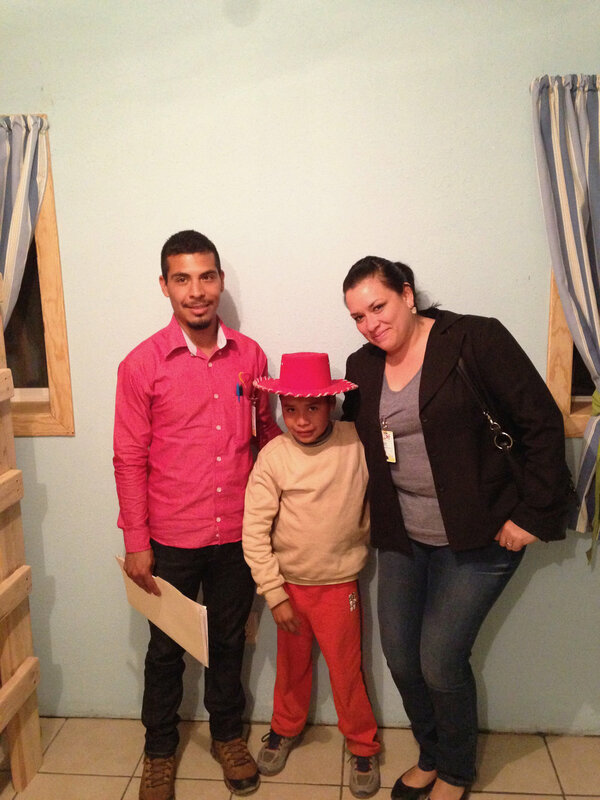 God has brought a wonderful, loving, Christian family from Canada to adopt Juan. Our staff, along with this family, have been working very hard for quite some time with the government to see this come to fruition. And it now appears there are only a few steps left before it is finalized. 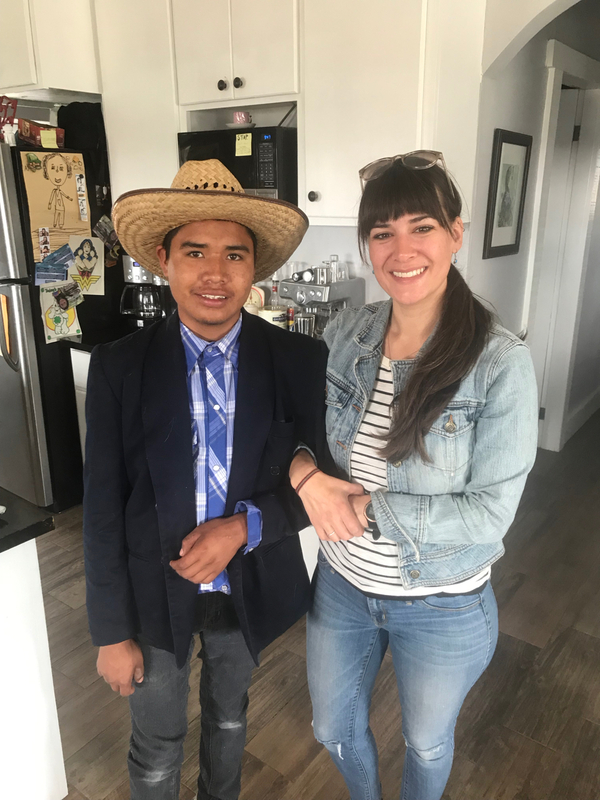 Juan has been living with the Wiebe family for about 4 months now, and he absolutely loves it. The joy and smile on this young man’s face, who has never known or had a mom or dad or permanent family, is absolutely priceless. I cry tears of joy every time I think of it. I miss Juan. I miss him a lot. I miss seeing him everyday. I miss working in the yard with him. I miss our talks about life. I miss seeing him serve at church. I miss eating hamburgers with him. I’m really going to miss him when he moves with his family to Canada. However, the sadness is quickly replaced with overwhelming joy to this new life he will have. “When my father and mother forsake me, then the Lord will take care of me,” (Psalm 27:10). Our verse for the orphanage couldn’t be more true for Juan. Yes, his physical mother and father forsook him, but, thanks be to God, his Heavenly Father never did. And now God has blessed our Juan with a wonderful family. Please continue to pray fervently with us as we see the adoption through, that there would not be any issues. Many of you have either heard of or used the famous saying, “when it rains, it pours.” Since being down here in Mexico, I have come to find this statement to be incredibly true, both literally and figuratively. Right now, we are literally in the heart of the rainy season. Any of you who have been down here for a visit or mission trip between July and September, know how powerful, beautiful, and intense the thunderstorms can be. This year, however, has been quite interesting since it has hardly rained. Nothing like in the years past. Some are fearful that they might lose some of their crops due to this lack of rain. This past week, we have definitely experienced a rapid succession of misfortunes and difficult situations. In the past seven days, we have had one of our vans break down, our stove quit working, our washing machine break, and the pump at our water well give out. So, in just a short period of time, it has felt like we are swimming in a series of unfortunate events. This can be incredibly discouraging, defeating, exhausting, etc. And yet, somehow, light shines through, a new day dawns, and things end up working out. We were able to tow our van and get the wheel bearing fixed. I found the washing machine part we needed on Amazon. Our stove, unfortunately, will not be cooking for us anymore, so we will be looking for another one. Our well pump? Well, that is a whole different story that we are praying will be resolved within the week. Fortunately, our guys down here and a visiting missions team have been working with a borrowed trailer, water tank, and the use of our neighbors’ well (who are graciously allowing us to use their water to fill up our tanks). So I guess in the end, it does at times feel like when it’s raining, it’s pouring; both literally and figuratively. But, thankfully, there is a calm after the storm, and things get better, and life will continue, and we get a chance to be amazed at how our God leads us through!